B.Sc. 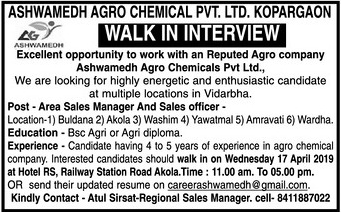 Agri or Agri diploma With 4 – 5 years of experience in agro chemical company. Hotel RS, Railway Station Road, Akola.